Few things suggest rugged individualism as powerfully as the solitary mountaineer testing his or her mettle in the rough country. Yet the long history of wilderness sport complicates this image. 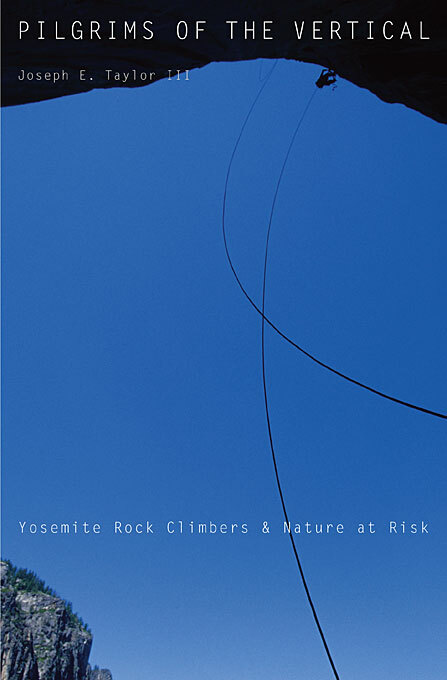 In this surprising story of the premier rock-climbing venue in the United States, Pilgrims of the Vertical offers insight into the nature of wilderness adventure. 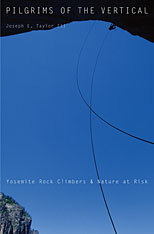 From the founding era of mountain climbing in Victorian Europe to present-day climbing gyms, Pilgrims of the Vertical shows how ever-changing alignments of nature, technology, gender, sport, and consumer culture have shaped climbers’ relations to nature and to each other. Even in Yosemite Valley, a premier site for sporting and environmental culture since the 1800s, elite athletes cannot be entirely disentangled from the many men and women seeking recreation and camaraderie. Following these climbers through time, Joseph Taylor uncovers lessons about the relationship of individuals to groups, sport to society, and nature to culture. He also shows how social and historical contexts influenced adventurers’ choices and experiences, and why some became leading environmental activists—including John Muir, David Brower, and Yvon Chouinard. In a world in which wild nature is increasingly associated with play, and virtuous play with environmental values, Pilgrims of the Vertical explains when and how these ideas developed, and why they became intimately linked to consumerism.